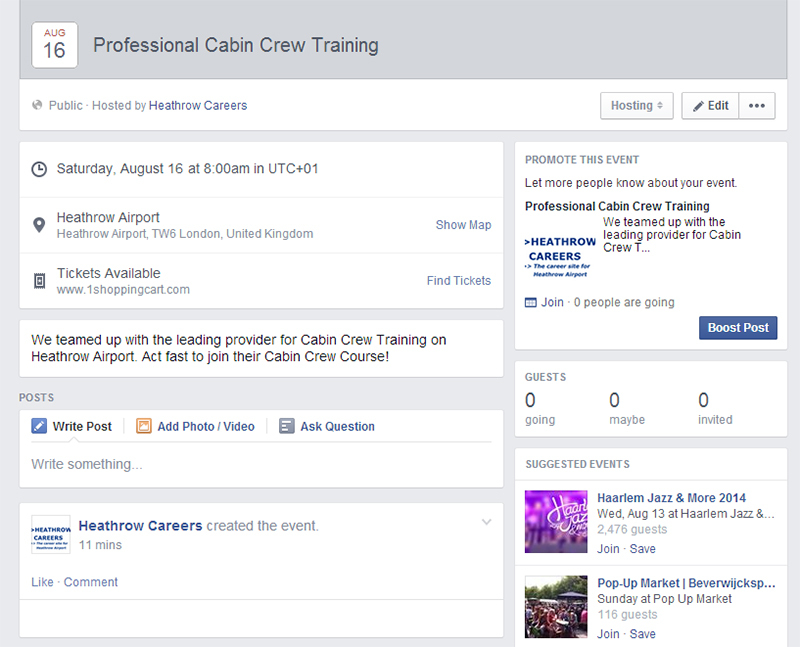 If you are running a Facebook page, Facebook Events is a great tool for inviting your fans to a specific event. 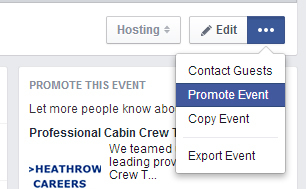 Facebook recently made it easier for you to set up an event and invite all of your fans, or just a selection of fans. Letâ€™s see how that works. 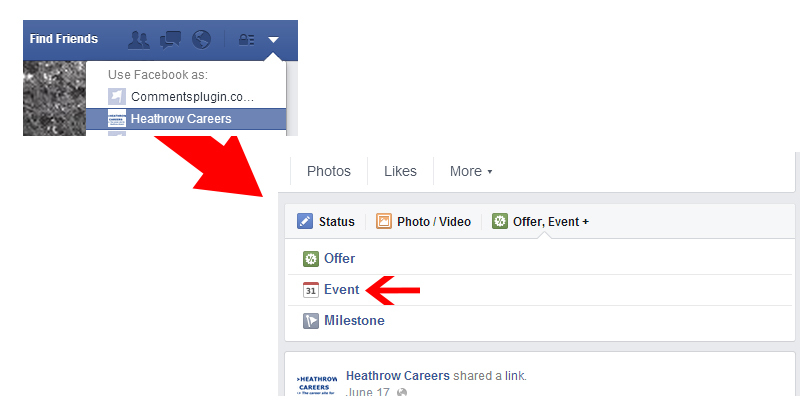 You can only set up an event for Facebook pages, not for your personal profile. So you first need to use the â€œUse Facebook asâ€� function and select the page you want to work on. Then click the â€œEventâ€� button. In the pop-up you can fill in all the necessary event details. As you can see, your event is targeted to all your fans (as you can see Iâ€™ve got 308 likes at the moment). 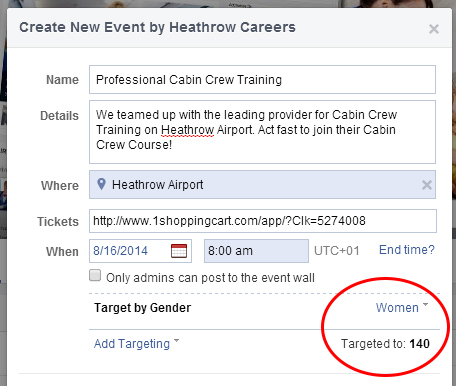 You can choose to add the event to your page right away, or define more specific targeting. Targeting doesnâ€™t mean you are reaching all of your fans, I will explain this below. Combining these targeting methods lowers your targeted fans, as you are refining your targeting. Note: You canâ€™t change the targeting once the event is added. After adding your event, you could stop there. But thereâ€™s still some work to be done if you want to increase the chance of people actually attending your event. When you click on the event link, you are taken to the event page. Here you can add additional information or updates about the event, include pictures or even set up a poll. This is also where youâ€™ll find your statistics or people attending your event. You can choose to boost your event, just like you would with a normal post. You specify a budget and a targeting method. You should always do one boost to people who already like your page, to make sure you reach all of them. Facebook doesnâ€™t show your events to all of your fans. They use their own algorithm for this, which is based on engagement with your page. Basically if your page has low engagement rates, it is harder to reach your audience. Every page is fighting for the same eyeballs, so Facebook has to decided which to show in the limited space they have. Promoting your event increases your reach among your fans. You can also choose to target potential attendees who arenâ€™t fan yet. The second option is making an ad for your event. You will find the â€œPromoteâ€� button in the drop-down next to the â€œEditâ€� button. – An event ad allows for paying per click and per impression with price control. 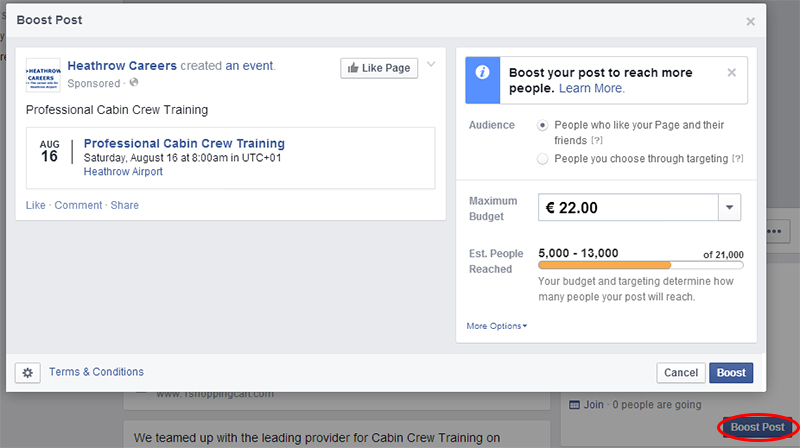 A boost only allows for paying per impression, with Facebook optimizing your spent. An event ad gets placed in the right sidebar, where a boosted event gets placed in the main timeline of a viewer. Ad event ad allows for additional information and pictures, where a boosted event will be displayed as is. You now see a new set of buttons where first the â€œEditâ€� and â€œPromotionâ€� buttons were. You can choose to invite friends personally, or share the event on your timeline. 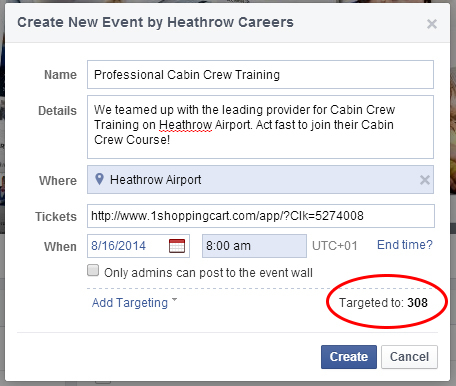 Facebook has taken the Event functionality very seriously, which gives you a powerful tool to add and promote events. If you want to do it properly it will probably cost you some money. But with Facebook marketing still being relatively cheap that shouldnâ€™t hold you back on trying it out. Quick tip: The event I added isnâ€™t really my own event. It is hosted by a company I partnered with, and I earn a commission every time someone attends. Itâ€™s a perfect way of promoting your affiliate link in a natural way. Note: Facebook has a help section on creating events in their knowledge base, but it is very limited.